Day one at Atlantic Centre for the Arts! Thing 2: Tell me about it! Thing 1: It’s terrible and boring. Thing 2: I’d like to listen. Thing 2: That sounds amazing! Thing 1: But what if I’m just tricking you into liking it? Thing 2: You know who else does tricks? Bunson Hoppydew appears out of nowhere, peering out of a top hat. 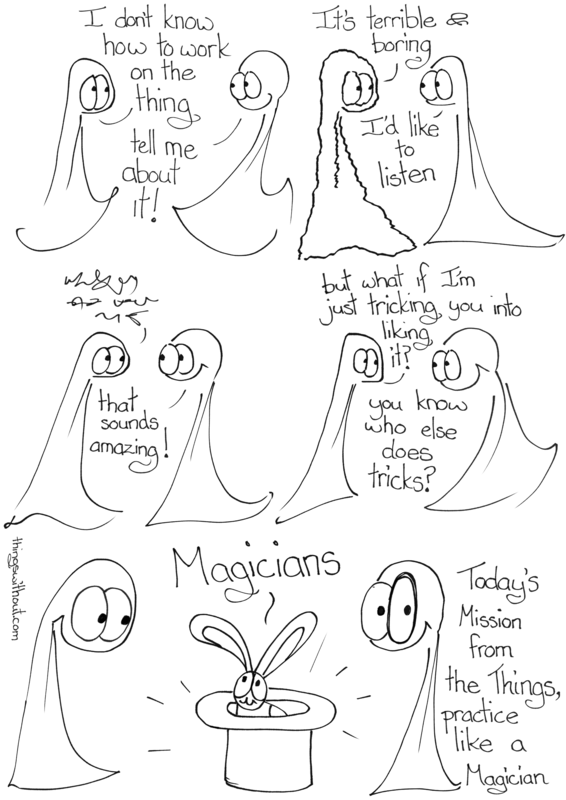 Today’s Mission from the Things, practice like a Magician.